In Apple's latest event "Gather round" the company said that iOS 12 truly improved the battery performance making it lasts longer and power saver especially for its older devices. With the iOS 12 GM release and we are just a few hours away from the public release of iOS 12 we've brought you a battery life test between iOS 12 GM vs iOS 11.4.1. YouTube channel iAppleBytes has uploaded a video showing the performance improvements in iOS 12 actually come at the expense of battery life. 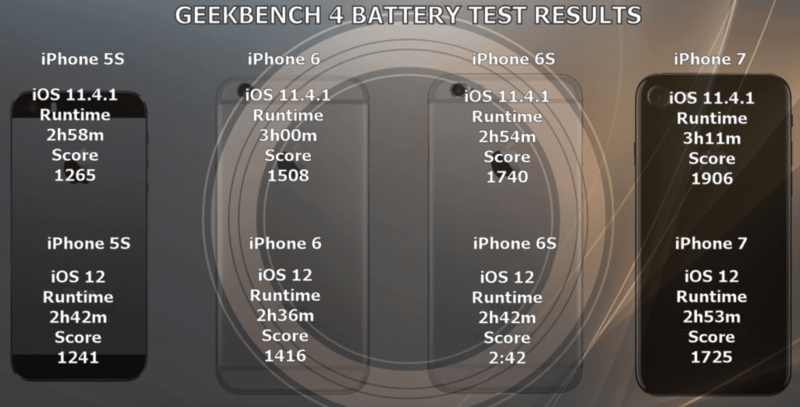 For the test, the YouTuber used Geekbench’s battery life benchmark and ran it on the iPhone 5s, iPhone 6, iPhone 6s and iPhone 7. All four phones had fairly new batteries with minimal wear and tear, and the testing conditions while running the tests across different operating systems were the same. The iPhone 7 saw its battery runtime score decrease to 2 hours 53 minutes on iOS 12 when compared to 3 hours and 11 minutes it managed under iOS 11. Similarly, the iPhone 6s saw its battery runtime reduce to 2 hours 42 minutes on iOS 12 when compared to 2 hours 54 minutes on iOS 11. 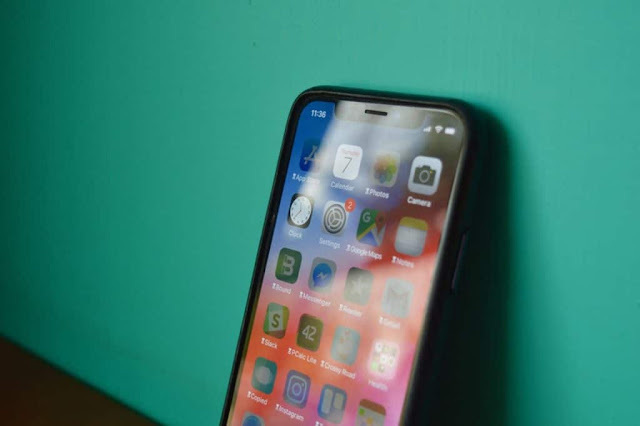 The iPhone 6 was the worst hit as its battery life declined to 2 hours 36 minutes under iOS 12 vs 3 hours on iOS 11.4.1. Lastly, the iPhone 5s managed a battery runtime of 2 hours 42 minutes under iOS 12, while under iOS 11, its battery runtime score was 2hours 58 minutes. Are you disappointed that iOS 12 does not bring any improvements in the battery life department as well? Or are you just happy with the performance improvements it is going to bring to the table?